From the moment you step on our lot until the time you drive away in your next car, your buying experience with Vern Laures Auto Center is our number one priority. 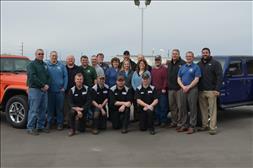 We encourage you to use the expertise and resources of our sales staff; they are here to help you find the right car at the right price. Call us today at 641-394-3025 to schedule your test drive! Perry is the 2nd oldest of Vern's 4 children. He grew up around the dealership soaking up everything there was to learn about customer service. After graduating New Hampton High School he attended Iowa State University where he earned a degree in Business Management & Marketing. He lives in New Hampton with his wife Mary and children Adam, Paige and Cael. Give Perry a call and experience for yourself why there are so many Vern Laures Auto Stickers on so many cars all across north Iowa! Mitch is the youngest of Vern's 4 children. He grew up around the business and inherited Vern's Excellent customer service skills. After graduating New Hampton High he attended Wartburg and earned a degree in Marketing Management. 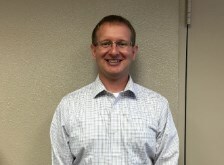 Mitch has been with the Company now for 18 years. He lives in New Hampton with his Wife Jeanette, Son Carson and Daughter Sydney. Seth started with us in the spring of 2016. He has been in the car business for 13 years. He handles all of our financing and marketing. Seth is originally from the New Hampton area. He currently lives in Charles City with his wife and two children. Give Seth a call to get pre approved for your next vehicle purchase! Dan has been with us for 6 years. He was hired for his excellent customer service skills. Dan has over 25 years of experience in Customer Service and it shows. He is dedicated to finding you the vehicle that fits your needs. Dan lives in New Hampton with his wife and 2 sons. Give him a call today to schedule a test drive! Don has been in sales for 14 years and with Vern Laures Auto Center for 5 of them. He is dedicated to finding you the vehicle you need. He will never chase you around our lot or give you a high pressure sales pitch. He attended Upper Iowa where he majored in Computer Science with a minor in Marketing. Give Don a Call Today! Lisa grew up around the car business. She has been working at Vern Laures Auto Center for 28 years. She currently is in charge of our office and manages the daily operations of Vern Laures Auto Center. She lives in New Hampton with her husband Jim. She has two children Dustin & Jennifer. Give her a call today for all of your auto financing needs! Tom has been with us for over 38 years. With all that experience he is very knowledgeable when it comes to your vehicles needs. He does a great job of keeping our customers on the road. 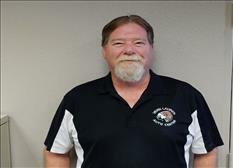 He has made a great contribution in making Vern Laures Auto Center the place to service your vehicle in North Iowa! Steph has been with the dealership for 24 years. He knows all things OEM and Aftermarket when it comes to the parts your vehicles needs. He can help you with everything from Chrome to wiper blades. He currently makes the commute from Charles City where he lives with his wife. Give him a call today for all your parts needs. 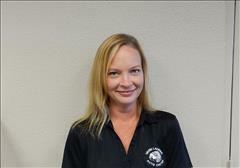 Carrie has been with Vern Laures Auto Center for about a year now. She makes the Service Schedule and is ready to get your car in for its next service. She is from New Hampton where she currently lives with her two children. Give Carrie a call to Schedule your next Service Appointment!